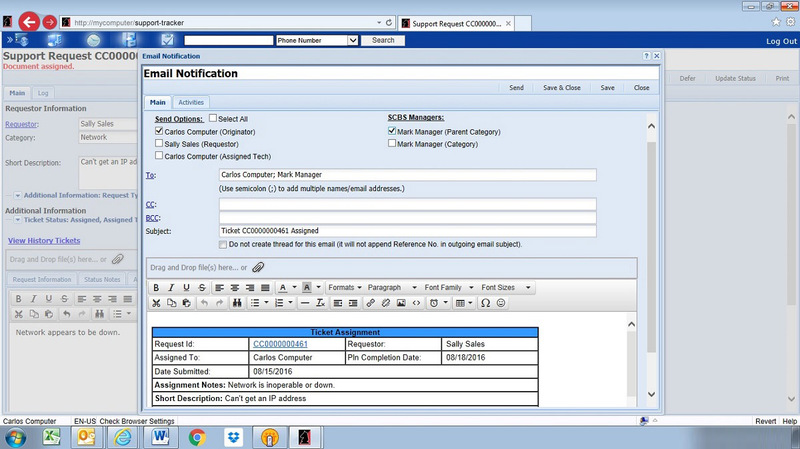 Ease the workload of your IT Department with Support Tracker, a comprehensive help desk system which simplifies ticket creation and submission, automates ticket routing based on your support services matrix, and provides tools for managing tickets including dashboards, automated notifications and functions for escalation and aging. 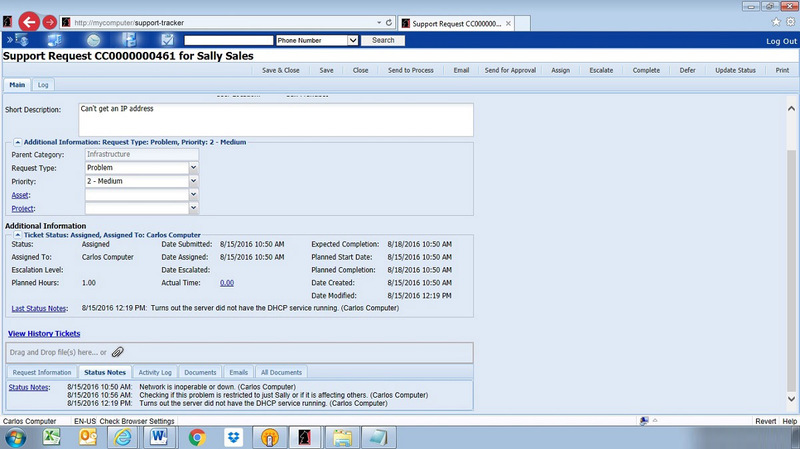 The user can create a ticket, selecting a category and priority for the ticket using pick-lists, and provide issue details as well as attachments, such as screenshots or error logs. If an issue is reported via Microsoft Outlook, the user can drag that email into the Support Tracker folder to automatically create a ticket. Email accounts may be configured that automatically convert incoming emails into tickets and route them appropriately. Support Tracker maps to your help desk matrix, with multiple category and priority profiles that can dictate routing. 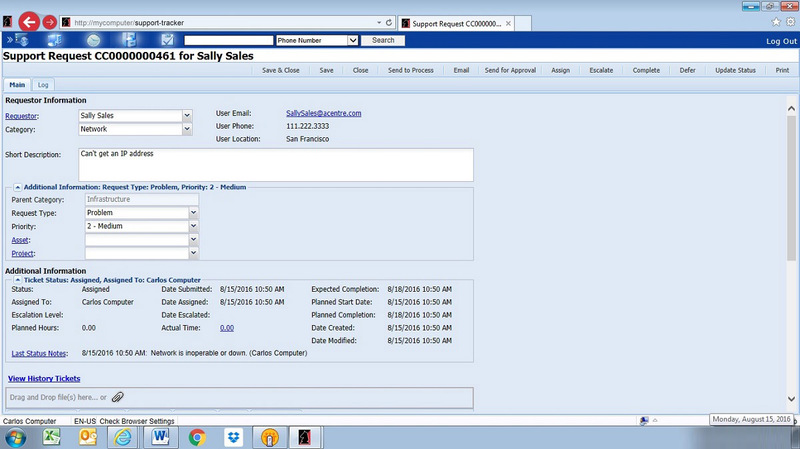 Our support software provides searchable, sortable views of open, closed and escalated tickets in the system, as well as views of tickets by assignment and category. Support Tracker also provides a configurable, help desk dashboard, which users can embed in an email for an on-the-fly support newsletter, as well as export to PDF or Excel spreadsheet. 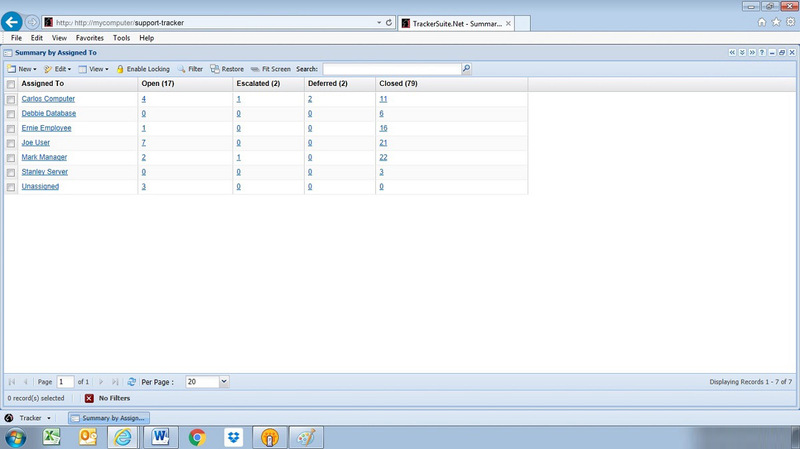 In addition, users can customize their own workspace with help desk widgets that deliver help desk reports and views. We have spent a few decades perfecting the art of software design and development. Here are a few examples of Support Tracker at work. As work on the ticket commences, the assignee updates the ticket's status notes and charges time against it. 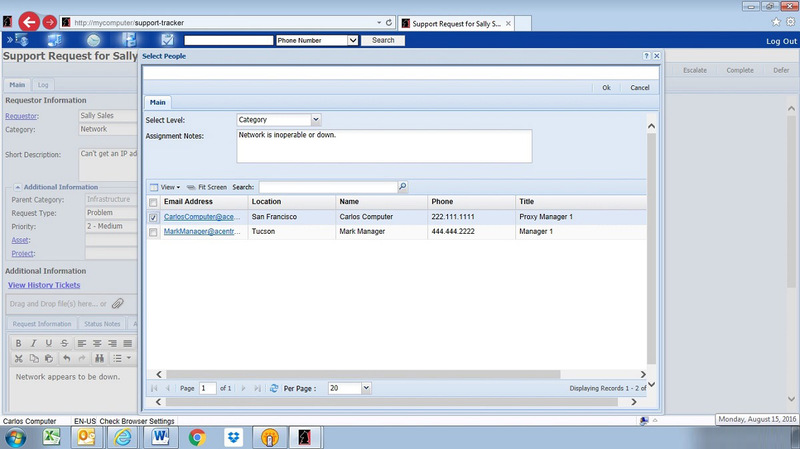 Tickets are easily moved vertically or horizontally in the support service chain. If the ticket issue becomes critical, it is escalated for immediate attention, whereas if the ticket's importance is downgraded, the ticket is deferred. Once the ticket is marked complete, the ticket assignee provides completion notes and has the option of creating a new "Frequently Asked Question" entry based on the ticket, in Support Tracker's FAQ database. Simplified Ticket Creation, via the support ticket form or email. 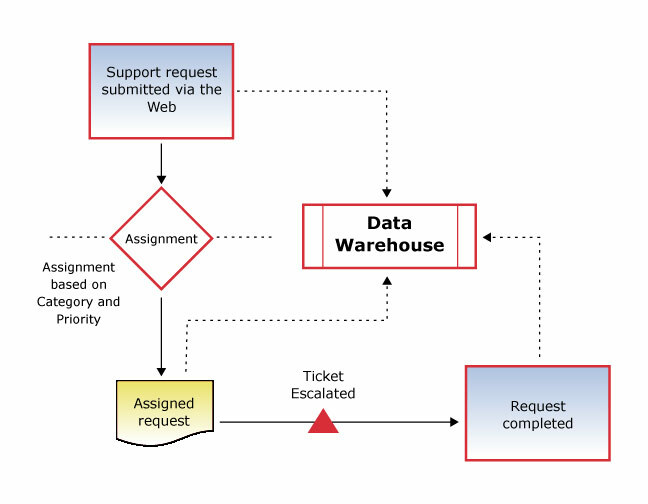 Assignment Weighting based on Service Level Agreement (SLA) and/or request type ensures critical tickets are addressed properly and that departmental obligations are met. 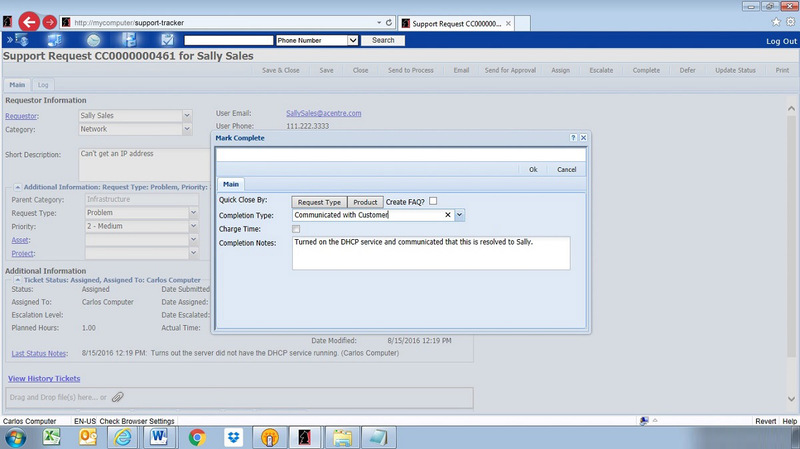 Integration with Email for assignment and escalation notifications, as well as email threading, storing all email and response emails associated with a ticket. Color Dashboards and a Weekly Ticket Board are available where a support resource can quickly plan the tickets they want to complete this week, next week, etc. Email help desk Newsletters with overviews of ticket status. Convert support tickets to projects or tasks and/or associate a support ticket directly with a project (requires Project Management module). Executive Reports on Open / Closed / Escalated Tickets, Ticket Pies, Help Desk Trends and more. By itself, Support Tracker can facilitate the change request management process, and in conjunction with other Tracker Suite applications, it serves as part of a comprehensive IT operations management solution. 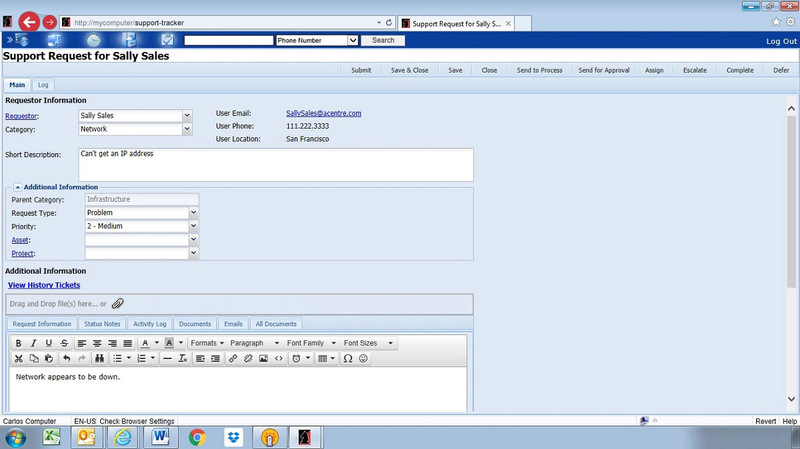 It integrates with Project Tracker, a project management system. If a ticket enters the system that is better suited to be a project or task, it can be converted to one with the click of a button, with no need to re-enter data. 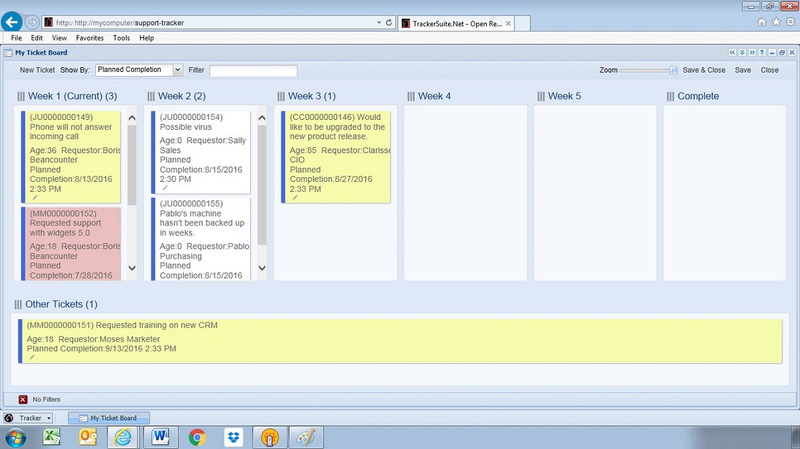 Similarly, tickets for projects can be created within Project Tracker itself. 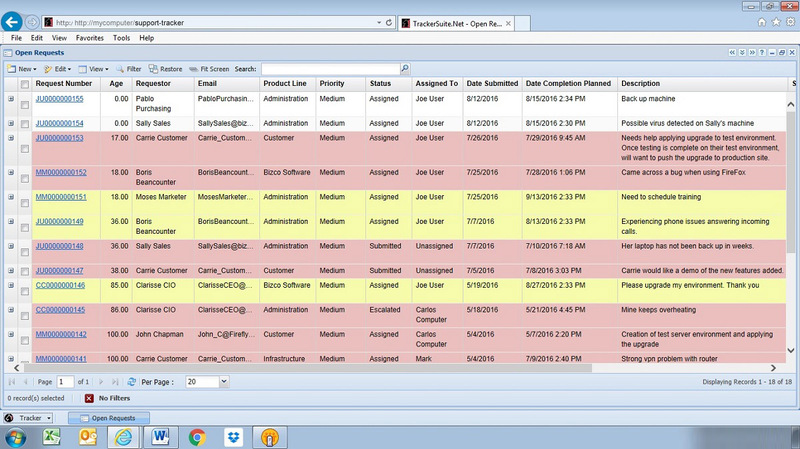 Support Tracker also feeds data to the Tracker Data Warehouse, a robust reporting engine. Through the Tracker Data Warehouse, organizations can generate reports to track the performance and measure the results of their support services, including Open/Closed/Escalated Tickets, Ticket Pies, Help Desk Trends and more. Widgets populated by Support Tracker can also be utilized as part of a dynamic IT dashboard.